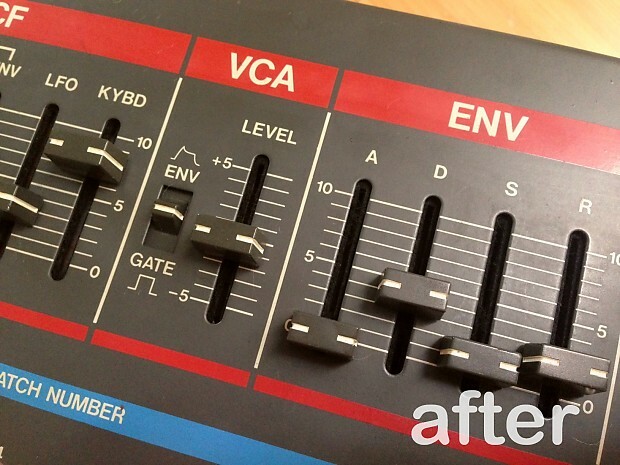 This listing is for a set of brand new, precision-cut acrylic felt slider dust protectors (also known as dust shields, dust curtains, or gaskets) for a Roland Juno 106 synthesizer, to replace the old ones that are prone to crumbling apart. 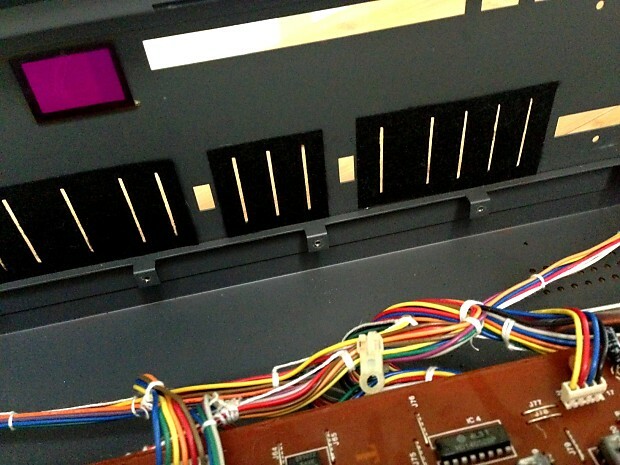 The set includes all of the dust protectors needed to replace those on both the main panel board and the Bender board, including the Portamento switch. Two different sizes of Portamento switch rings are included to accommodate the smaller metal and larger plastic switch versions. 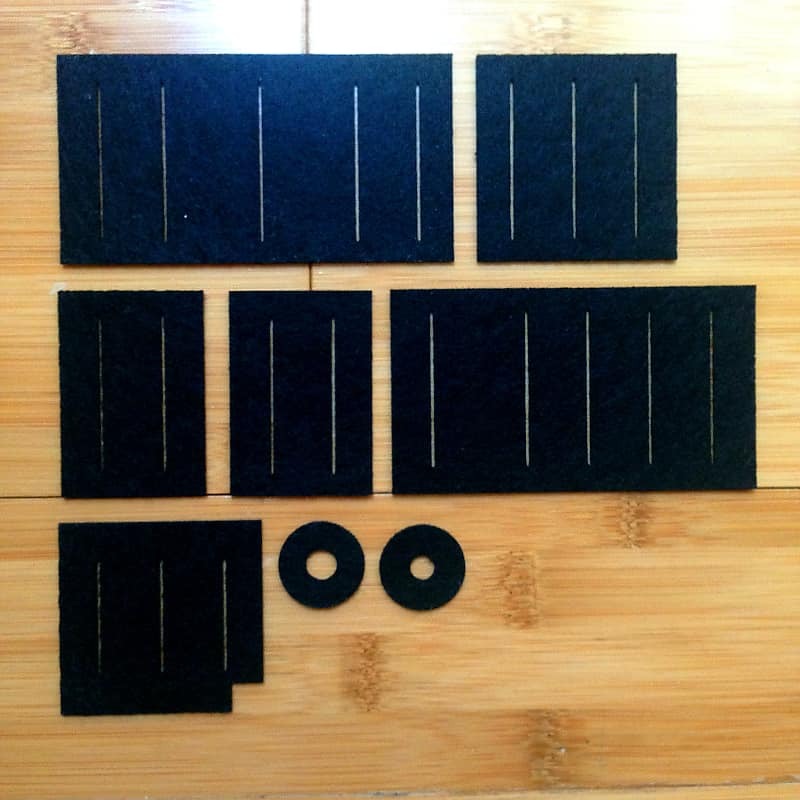 These slider gaskets are made to exact specifications on a professional laser cutter out of 1.5mm stiffened and resin-bonded black acrylic felt which does not shed fibers like other forms of felt. Unlike the synthetic rubber that was used for the originals, this felt will not break down and fall apart over time, so your Juno's sliders can stay dust-free and looking sharp indefinitely. The laser melts the cut edge as it cuts each slit or hole, effectively cauterizing it so that even on the cut edge there are no loose fibers to fall into the slider opening. The slider gaskets will need to be glued in place with epoxy (not included). 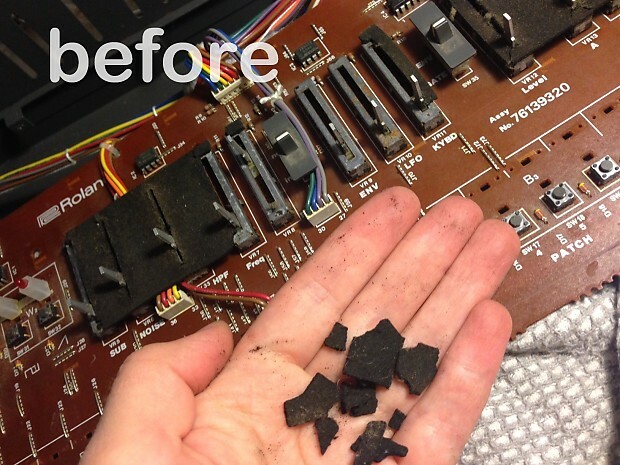 The installation process is very simple, but installation instructions are included. Contact us if you want to order more than one set of this or any other gasket set we sell-- we want the shipping on the additional sets to be free, but Reverb doesn't make it too easy to set that up, so we'll make a custom listing for you. Bell Tone Synth Works is an electronic musical instrument repair workshop with a specialty in vintage analog synthesizers, based in Philadelphia, PA. Find out more about us and what we do at belltonesynthworks.com.